Thinking about how to Bid Goodbye to 2017 and Welcome 2018 with your friends and family? This is your PARTY! 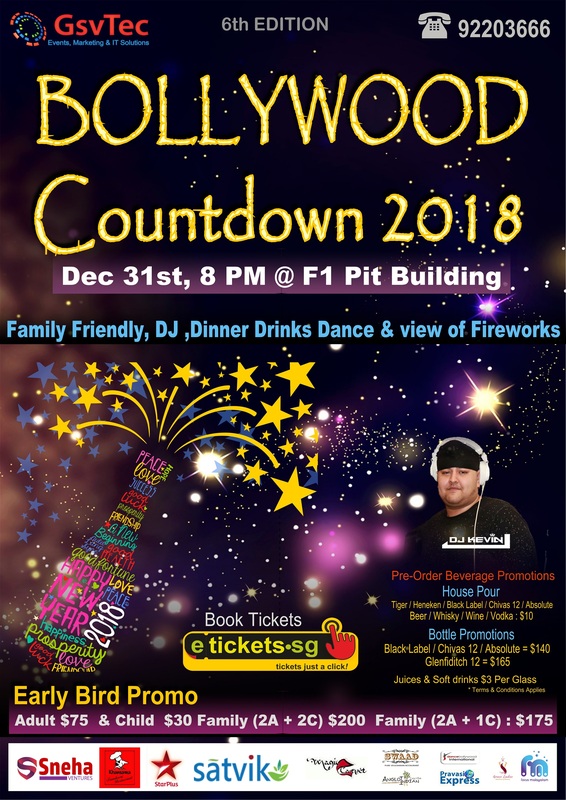 Bollywood Countdown 2018, Singapore’s Most attractive Bollywood New year Countdown Party! 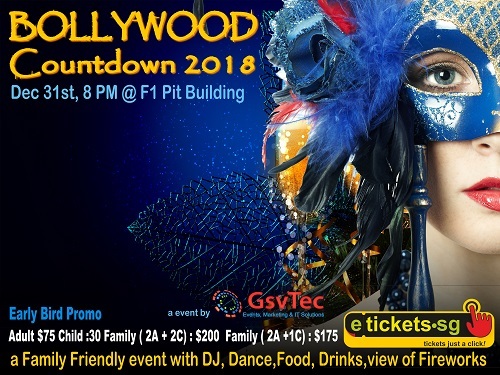 Is a Family friendly Event with Bollywood theme features Bollywood DJ Music ,food , Drinks ,dance & lots of fun. – Admission is subject to tickets produced at the entrance. – Children above 4 Years need a ticket for admission. – Tickets Once Sold are non refundable and non negotiable. – Organizer can change the event date, venue. – Organizers are not responsible for any kind of direct or indirect claims on account of the event .As a event participant you undertake any such risk of any unforeseen incident that may happen during the event. You are responsible for your family and yourself. – Right of entry reserved by organizers.